Mary Elizabeth Drescher (O'Brien) April 16, 2012 Mary Elizabeth Drescher, 88, passed away peacefully in the presence of her family on Monday, at Francis House. She was born in Syracuse, the daughter of J. Frank and Catherine O'Brien. One of four children, she was predeceased by her two brothers, William and John. She is survived by her sister and lifelong best friend, Teresa Delmonico. Married to her loving husband, William Drescher, for 63 years, she was a lifetime resident of Syracuse. Mary was a graduate of St. John the Evangelist High School, and graduated with honors from Syracuse University in 1945 with a Bachelor of Arts degree. She worked as a Social Worker with Onondaga County, and was a frequent volunteer for many other organizations. Mary had an abundance of close friends and people she loved spending time with. 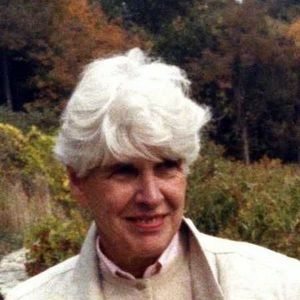 Her greatest enjoyment was connecting and interacting with her grandchildren and great grandchildren. She was very active and enjoyed playing golf and tennis, as well as bridge. She spent summers at Montario Point and traveled to Hutchinson Island, Florida for winters. She will be forever remembered by her husband and her seven loving children; Anne (Harry Louise), Peter (Mary Mastrioanni), William Jr. (Lucinda Gullett), Paul (Maureen Guy), Mary Ellen, John (Janet LaClair), Elizabeth (Charles Cavallaro) and grandchildren Maria, Laurie, Matthew, Zachary, Brittney, Peter, Chloe, Kristin, Joseph, Sarah, Kathleen, Michael, Molly, Adam, Anna, Andrew, Alexander, Jack and nine great grandchildren. Services will be at the Cathedral of Immaculate Conception at 10:30 a.m., Thursday, April 19th. Burial will follow at St. Mary's Cemetery in Dewitt. Calling hours will be prior to the service from 9:00 a.m. to 10:30 a.m. at the church. In lieu of flowers the family requests donations to Francis House, 108 Michaels Ave, Syracuse, NY, 13208 or Cathedral of Immaculate Conception, 259 East Onondaga St., Syracuse, NY, 13202. Elizabeth and Family, I am sorry for your loss. May you be granted peace in your hearts and wonderful memories of your mom to last a life time. Bud,Lucinda,Peter and Family, Our deepest sympathy on the loss of your mother. Our thoughts and prayers are with you. Our deepest sympathy to the entire family. Our parents found a great balance between family and friends.You could not have asked for better role models. Mary touched many of our hearts. To know her was to love her. Dear Mr. Drescher, Just got off the phone with Dad and he told me the sad news of the loss of your wife. She was always so sweet to my Mom; they sure loved their tennis! I am so very sorry for your tremendous loss. Please let the kids know that good thoughts are being sent their way from Florida. My Sunday Mass will be offered for your lovely wife.